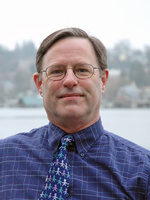 Bill Daniell is a physician and epidemiologist in the Department of Environmental and Occupational Health Sciences. Bill’s interests include a mix of teaching, research, and public health practice. Grounded in academic occupational and environmental health, Bill is proud to have evolved into a public health generalist and proponent of public health’s ability to promote evidence-based action toward community health and equity. His current activity is mostly based in Washington state. His other major interests involve global environmental and occupational health, particularly epidemiology and researcher training focused on problems in Southeast Asia. Bill headed a team that completed a health impact assessment (HIA) of the proposed cleanup plan for the Duwamish Superfund site. He is working to develop “Health and Equity in All Policies” activities focused on regional social and health issues, in collaboration with the UW Northwest Center for Public Health Practice, Public Health - Seattle & King County, the Northwest HIA Network, and other Northwest public health practitioners. Bill’s research topics have included: neurobehavioral effects of solvents and pesticides; multiple chemical sensitivity syndrome; occupational hearing loss; carpal tunnel syndrome; groundwater arsenic; and risks of urban fishing.